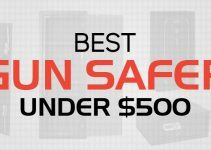 So you are here to find best hair loss serum reviews. You are at the right place because I have found a hair growth serum that works. Whether your hair loss is hormonal due to DHT or by some skin condition like Seborrheic Dermatitis I have something for you all here. I think I am quite lucky enough to find the best serum especially when there is a lot of scam out there. This post focuses on Why I lost Hairs, How much Hair loss I suffered and Most importantly how I made my hair loss reversible along with routine I followed..
Notice above that there is a gap in the center of my head. This gap was much bigger but thanks to a serum, two shampoos and two supplements I have recovered from that to a very good percentage. I am still continuing my treatment because I want to recover 100% as now I have full confidence in serum and other things I am using. I have more proof to show you people that is new small hairs that are below in this post. Don’t worry I will explain everything so you can have the same success as me. Hair Growth Serum: Bioxsine Anti Hair Loss Herbal Serum. Anti Seborrhoea Shampoos: Biotrade Sebomax Control/Panthenol and Foltene Pharma on alternate days. Hair Growth Assisting Supplements: Priorin and Beroca. If you do not have any skin condition you can look into Bioxsine hair growth shampoo instead of the Anti-dandruff shampoo I am using and further encourage hair growth on your head. Here are more solid proofs. Click on these pictures or tap twice if on mobile, they will open in a new tab, wait for them to be completely downloaded and then you will see a zoom in icon. 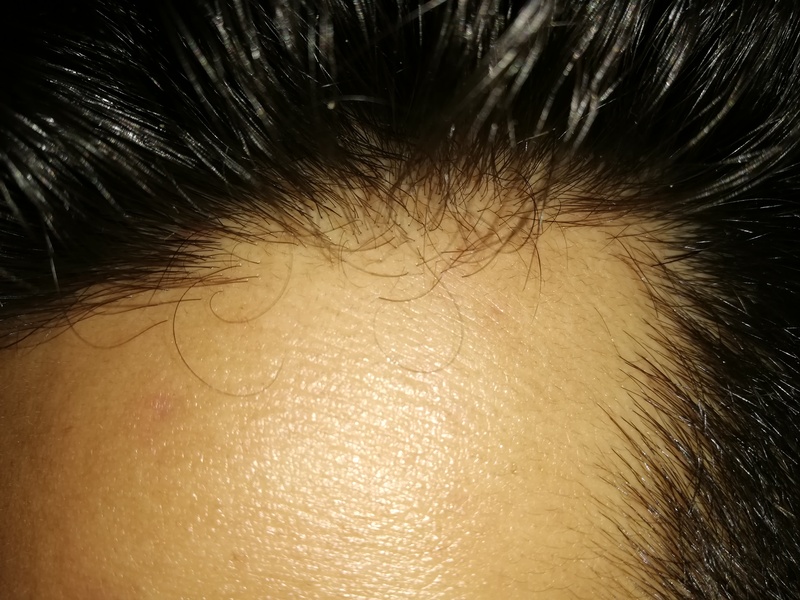 Left click on the screen and zoom into see my hair line which has uncountable new small hairs growing. I had one of the densest hair I could look around. By dense I mean, there were literally millions on my head. It was at times hard for me to comb my hair because they were just too much to handle. My friends made fun that my head looked like a wasp hive because of so many unorganized hairs. They were not only too much but also very frizzy after I took a shower. They were difficult to handle. I always had dandruff in my hair and honestly speaking, I did not take much care of my hairs because it was just not my priority. Because they were already too many on my head and I took them for granted. Consequently, I observed that my scalp became too itchy within 24-36 hours of washing them. I was forced to wash my hair because it was just too much irritation in my head. As my carelessness continued over the years, I realized that now whenever it itches and I scratch my head I get some flakes on my nails. At this moment I was 19 or 20 years old and I am talking about 2010 or 2011. It was very irritating but at the same time it was also satisfying to scratch the head and peel off those flakes. So I had little bit fun peeling of the flakes while studying. It kept me busy lolz! I did not know what was happening in my head. I thought it was merely the sebum or oil that gets dry on my scalp and I peel it off when it dries up and itches. But I noticed that whenever I scratch my head every time 4-5 hair strands fall off with the flakes. Because my head had no shortage of hairs I ignored it and took a bath right away when it felt too irritating on my head. Also, I did not believe that dandruff can result in hair loss and I thought maybe I am losing hairs because most men lose them because of the DHT. That was endorsed by the fact that I was seeing male pattern baldness that is my hairline was receding. To take care of flakes which I then called ” sticky Dandruff” because of lack of knowledge I bought Head and Shoulders an anti-dandruff shampoo as they advertise on the TV but it was all nonsense. It neither took off dandruff nor it relieved the itchiness. It was all crap, nothing like they describe it on the TV. This shampoo is very basic dandruff shampoo and it cannot work on the heads which have plenty of flakes or next degree dandruff on them. At this point, I finally googled my situation and realized from my symptoms that I have nasty Seborrheic Dermatitis. In 2010-2011 Seborrhoea had already settled firmly on my head I noticed that while taking showers the floor gets filled with my hairs. When I was studying I would push my hairs back, my hand would have 4-5 strands of hair. Every morning after waking up I would see that my pillow is full of my hairs. Taking helmet off after a ride on the bike, I would see that the interior of the helmet was filled with my lost hairs. I was losing hairs and I was losing them very quickly but because I had loads of hair on my head it appeared to me as if I still have plenty on my head and its normal to lose hair. It made me careless and I did not take care of the blessing that I had naturally i.e plenty of hair. My lax behavior was at its peak but the itching was so damn high that I looked around to find a way to reduce it. Luckily, I found a shampoo called Selsun Blue which had selenium sulfide in it. The moment I used it the flaking was gone. Unlike, the stupid overrated and wrongly advertised Head and Shoulders shampoo, The Selsun Blue actually worked. It not only swept the flakes but I also observed that my hair loss problem became less severe. One side effect the shampoo had was that it gave a very bad odor after I used it. Therefore, after I felt that my head was clear of dandruff and itchiness, I stopped using the shampoo. But guess what after 4 months of relief, the severe dandruff and the monster flakes came back and with great flakes comes great hair loss LoL. I rushed to the market and bought Selsun Blue again. I used it and the problem was solved within few days. As soon as I thought that the problem is solved and my hairs smell bad because of Selsun I stopped using it and returned back to normal shampoos. Guess what, the flakes came back again but this time in 3 months span, last time they came back in 4 months time. The same cycle repeated i.e. using Selsun and then leaving the shampoo. The story continues from 2010 to early 2017. Over the 7 years, I came to the point where once I left using Selsun, the Seborrheic Dermatitis came back within a week. At this point, I was 25 years of age and during these 6-7 years, I had lost so much hair that the middle of my head became almost empty. 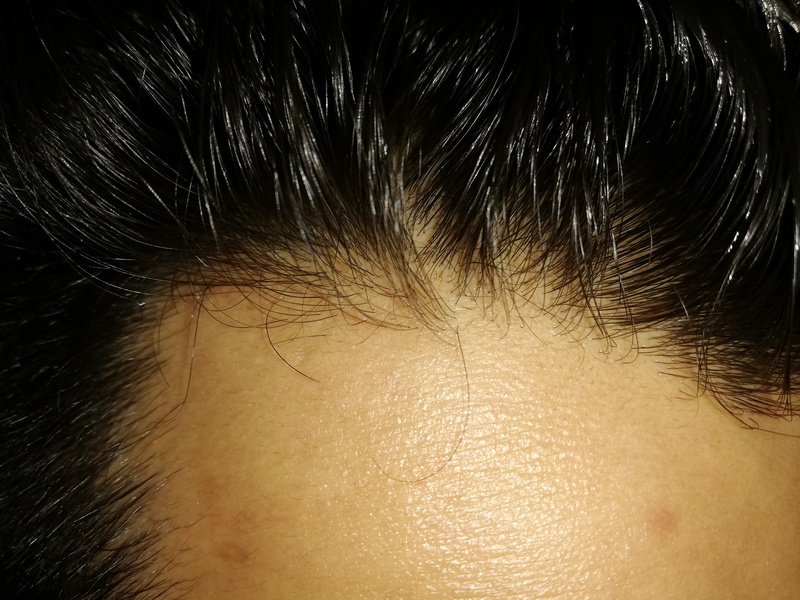 The patch of very low hair volume was located just before the center of my head. My hairs disappeared because of Seborrheic Dermatitis only due to my careless behavior. The center patch made me look bad in a funny way. I was so frustrated at this point that I almost shaved my head with the help of a trimmer and Gillette fusion in a bid to oil my hair and get rid of Seborrheic Dermatitis. This happened in September 2016 and actually NOTHING happened in this effort. Seborrhoea still came back and I was still losing the tiny length hairs I sacrificed the big length hairs for. I looked absolutely disgusting. You just cannot get rid of this monster by shaving the head and it will still come back and eat those little hairs. I reflected on my years of battle with Seborrhaeic Dermatitis and one thing was clear. Seborrhoea only comes back when I stop using Selsun Blue. I decided now that I will not stop using Selsun Blue and Seborrheic Dermatitis will not come back and my hair fall might stop and that’s what exactly happened. Over the next year from Mid January 2017 to mid-December 2017 I was using Selsun Blue as a permanent shampoo. By that I mean to say that I used no other shampoo, not even any conditioner. I kept the length of my hairs around three inches. I did not see any trace of flakes or Seborrheic Dermatitis on my head but what was disappointing is that the patch of low hair density still did not recover at all. In fact, it appeared to become worse because I was using Selsun, the immediate side effect was very frizzy and dry hair. It made my hairs appear too frail and rough. Thinner hairs made that low hair patch area even worse. 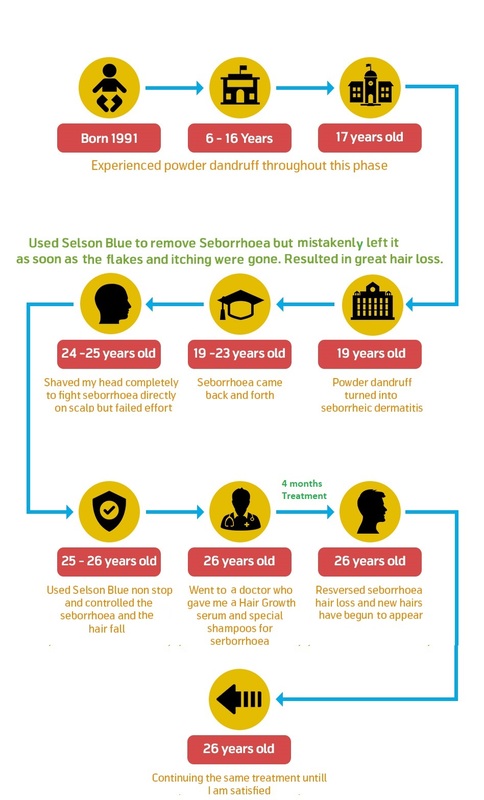 I was not losing hair anymore during this tenure of Jan 2017 to Dec 2017 thanks to the permanent usage of anti seborrhoea shampoo: Selsun Blue. Another important thing was that I experienced Zero hair regrowth during this phase. I expected new hairs to regrow because I controlled the evil that was killing them but that did not happen. I accepted the fact, that new hair growth is just a myth. I could not style my existing hair the way I used to do and the texture of my hairs looked so bad that I hardly felt confident about my hairs. I was losing confidence as a person. This patch made me look very bad and I accepted that it’s only going to get worse with time and I have to learn to live with it. So now it was proven firm to me that the secret to not to lose hairs was to continue with the anti seborrhoea shampoo no matter what happens. But the secret to get hairs back did not reveal itself yet. I am attaching some pictures of my head with that patch of clear hair loss visible. You can observe that the volume or density of hairs whatever you call it, is clearly low in the affected area. This region had the most Seborrheic Dermatitis flakes and I used to itch here the most. As a result, this area suffered the most and I lost tons of hairs in this area. I struggled a lot to put any hairstyle. Whatever, I did, in the end, I had this clear patch on my head which had no hair. Because whichever hairstyle you make it relies on the center of the head and I had very low hair quantity in there. 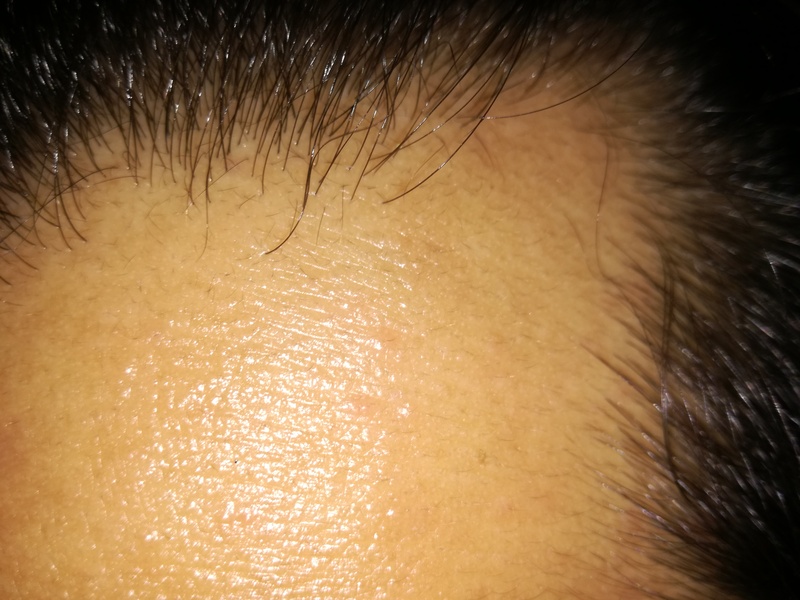 You can clearly see my scalp in pictures and compare it with surrounding area. Moreover, notice the length of my hairs they are around 2.5 to 3 inches. I searched on the internet to know if Seborrheic Dermatitis hair loss is reversible or not. I looked around for Seborrheic Dermatitis hair loss recovery stories. I could not found anything convincing and even genuine. In addition, I did not believe that there exists any hair growth treatment apart from PRP or hair transplant. I did not want to opt for any of these because I read a lot that the transplant can be very painful and it’s extremely expensive. PRP as hair loss treatment sounded logical but because it was too expensive and people reported that it did not work for them I was skeptical if I should even try this. At this point, I did not even know that if there are any hair loss serum let alone any hair growth products that work. I was still careless and as I said that I accepted to live with this condition but things took a turn when I visited a new barber in my area. This new hairdresser while cutting my hairs remarked: Haha! You are soon going to be bald only from this area on your head and it’s going to look funny. I did not like at all that he said. I began to think about getting my hairs back now. So how did I recover my hair? Well, I went to a dermatologist. She is quite famous and very qualified here in my area so I thought maybe I should consult here. On my first visit, I told her about my Seborrheic Dermatitis problem and she literally was stunned to know that I only came to see a doctor to fight Seborrhoea after 7 years of hair loss and itching. She examined my head and looked specifically the patch which had very low hair density. She said that there are no hair follicles and all she could see was closed skin. I asked her that if she could do PRP on my head to which she laughed and told me that try the less intensive and less expensive treatment first and see if it works for you then we can look for other solutions. She prescribed me Bioxsine hair loss serum ampules, anti seborrhoea shampoos to use on alternate days (Biotrade Sebomax Control and Foltene Pharma), Priorin (biotin supplement) and Beroca (multivitamin supplement). I had absolutely no idea what the hell were these things and honestly speaking I thought it was all waste of money. My belief was firm that once you lose the hair you can not get them back until you do the hair transplant or get PRP treatment done. Because I am careless by nature, I don’t take money seriously as well and I bought all that what she prescribed. It was a big bill around $200 and I thought in my mind that its another waste of money but it actually turned out to be a blessing. Because after sticking to what she said for upcoming months I saw loads of new hair growing on my head. The gap in my head narrowed and Seborrhoea remained under control. Let me share how to use the Bioxsine anti-hair loss herbal serum effectively. I was directed to apply the hair loss serum on my head just before sleeping every night. So on the first night, I took out the Bioxsine box and wondered what the hell is this thing. The ampules, I had never used anything like this before. 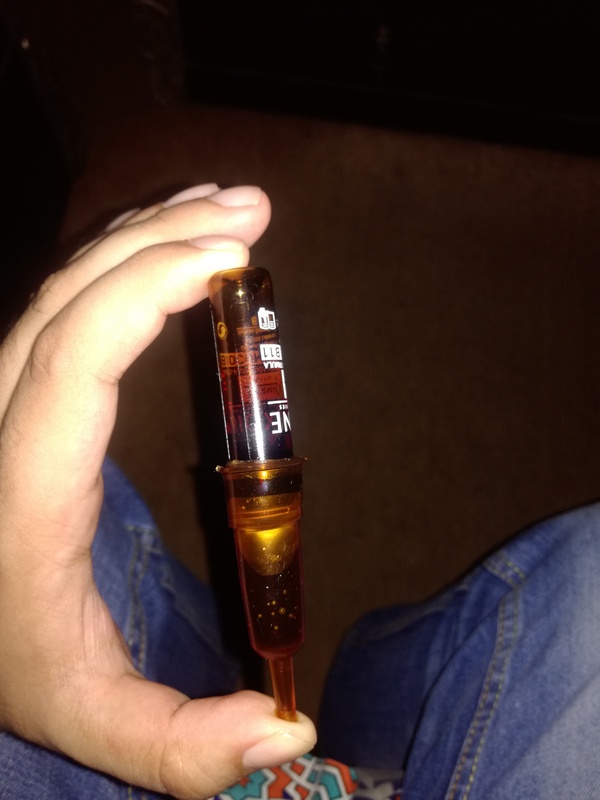 I did not know how to break an ampule and how to put it in the dropper that comes with the box. I checked YouTube and could not find any video that explains how to use the Bioxsine serum. 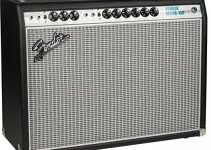 Luckily, I found a video that explained how to break a generic ampule. It was pretty straightforward. Look at the picture, the breaker comes with the box, place it over the head of the ampule it overlaps the white line on the ampule. Apply the force in an attempt to break the ampule. You will hear breaking sound and its ready for the dropper. Now place the dropper that comes with the box and places it over the broken ampule as shown in the picture. Invert the dropper now, it means that now the dropper will be below and broken ampule will be above. Now the Bioxsine hair loss serum will begin to drip into the dropper. When it gets filled carefully place the dropper tip onto your scalp and press the dropper, you will feel the serum flowing on your head. Massage the area on the place the serum flows. If you have hair loss throughout your head then apply the entire ampule on your head. If you have hair loss in some specific area like in my case then you may apply the hair loss serum in that localised/particular area. You may apply only half of the ampule and save it to apply the next night. After applying the ampule, you will observe that after some time your scalp has absorbed the serum. But you should be in bed and sleeping by then. Keep repeating the process and just don’t worry if you are not getting new hairs after first day or week or month. It should not take you more than 3-5 minutes in this practice of applying the hair loss serum that works. WHAT IF YOU MISS APPLYING SERUM ON ONE NIGHT? 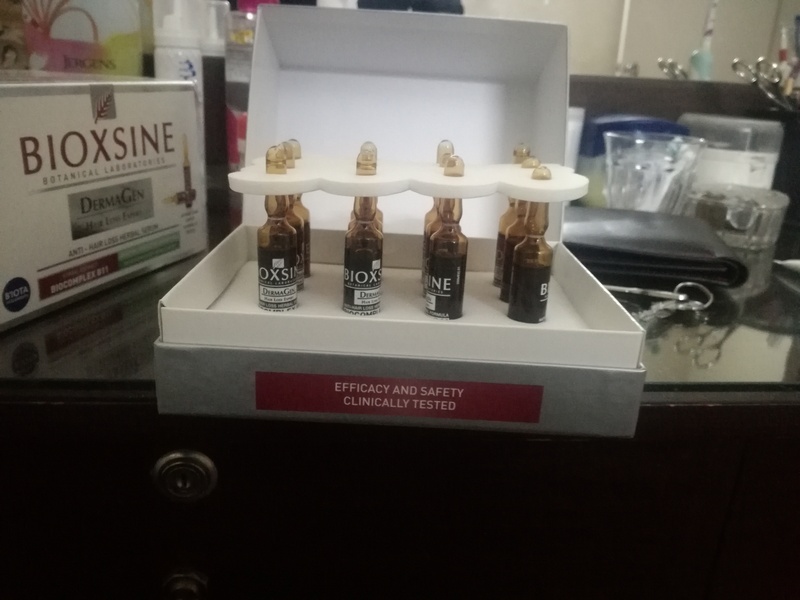 I bought the first box of Bioxsine hair growth serum in the month of December 2017. The box had 12 ampules and I applied only half of one of these each night. So the whole box was supposed to last for 24 days. I missed to apply the ampule on days I was very tired and went straight to the bed. After my first box finished within a gap of one week I started another box of the ampule. I was supposed to begin the next box as soon as the first one ends. There was lack of motivation because I observed that there was no apparent hair growth from this serum. I could clearly see the big empty patch on my head. This reaffirmed my faith that I was wasting money and this fast hair growth serum is just another scam. I did not order a new box after the second box finished in mid-February 2018. Because I was just not motivated to buy another box and waste my money. So later half of February and complete March went without using this hair growth treatment serum. If you are planning to buy the serum than I recommend to buy atleast 3 months supply because it will keep you motivated to keep using and don’t have gaps like I did. 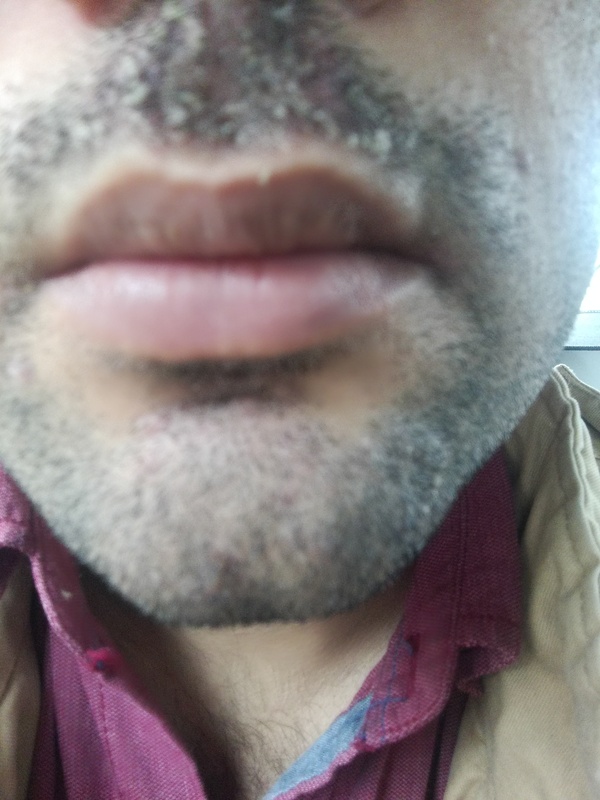 It was in the start of April 2018 I observed that the Seborrheic Dermatitis has reappeared on my mustache and chin. I decided to give the dermatologist who gave me the medicine another visit. 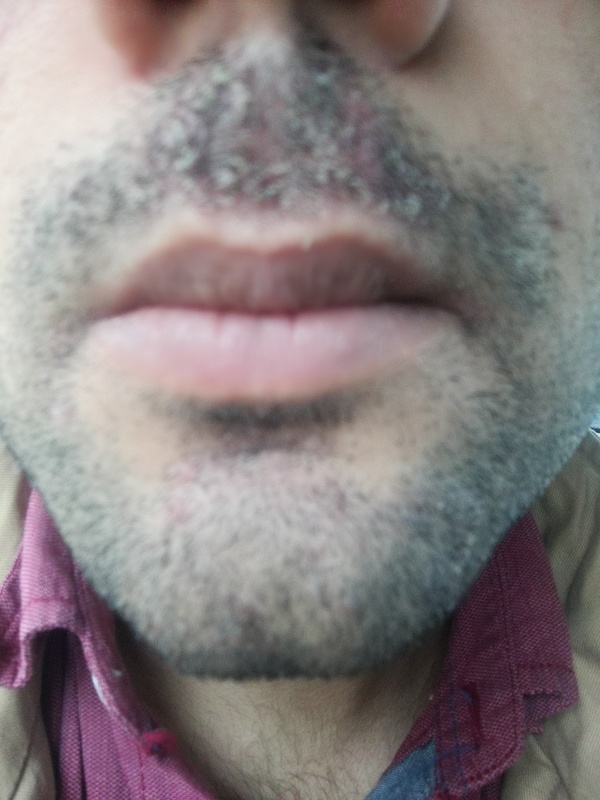 It was my third visit, she gave me some cream to apply on the mustache and asked me how is the progress going on with my hairs. I told her that I don’t think this works but she said to me: if it is not working at all where is the big patch that was missing on your head? I said because my hairs are half an inch bigger than I normally keep that is why maybe that patch is not there. She laughed and said in the last two visits you came here you had almost the same hair length. She got up took some big magnifying glass, turned on the lamp and began examining my head where the patch was present. To my surprise, she said there are loads of new hair she was seeing under the lamp and glass. She further said: Why are you saying that you don’t have any new hairs? You did not even check things and claim products to be a scam! Honestly, I could not argue with her because she was right! I did not even check my scalp for new hairs and that hair patch on my head really was not visible. She told me to use another hair loss serum box because it is working. I bought another box and got home but the doubt was still there in my head, I thought that my hair length is bigger that is why that gap is now covered. I continued to apply the serum that night but out of curiosity, I thought maybe I should turn on my mobile flashlight, stand in front of the mirror and examine my head like the doctor did. I could not look deep into my scalp because it was difficult to look that deep as loads of big hair strands were already there and it is very difficult to scan the scalp in that patch. So I began scanning the hairline that is just above the forehead. I took my mum’s hair band stretched my big hairs back and OH MY GODDDD !!! I saw loads of small hairs near my hairline. I could clearly see many new hairs on my hairline. It was a very happy moment for me because all that money I spent did not go to waste. The hairline which I referred to be receding was actually recovering. I was thrilled that this claimed best hair growth serum works. I understood that the small hairs which didn’t come in the hair band are actually the new babies and I welcomed them with a very happy heart. This serum really does work. Currently, it’s the third week of April 2018 now and I am almost running out of the third box of this hair growth serum. Check these pictures in details. I am sorry if you get disgusted by the pimples on my forehead but it reinforces the fact that nothing is photoshopped rather it’s all genuine. I am attaching the pictures again, different from ones I attached above. My head is soaring with new hairs. There are tons of hatchlings and you can clearly see those. 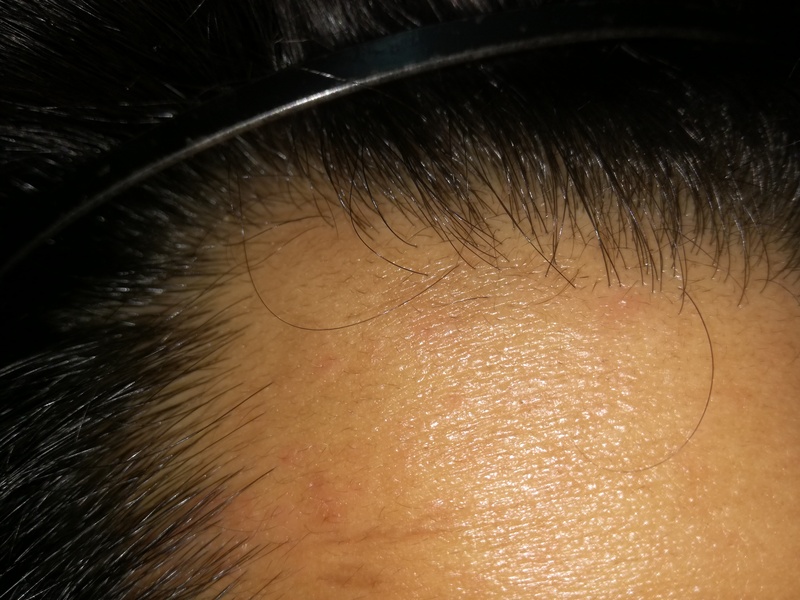 These hairs are also growing in that empty patch in center of my head that is why the gap is covered to a good extent. I was an ignorant **** to not observe my head and not to give any credit to the Dermatologist and her prescribed hair growth serum, supplements, and shampoos that actually work. I just shared my case study with my close friends and they are all very happy for me and they are planning to visit the dermatologist as well. If they do visit her I will request them to take pictures and share with me if they are comfortable so I can update this post with their progress as well. I think it is fantastic not only that my hairs got hair back but also at the fast pace they came back and very little effort I had to do to get this recovery. I spend stupid damn 8 years to damage my hairs and they began coming back within a span of 3 months. I think I am quite lucky because I was not fair with my hairs and they responded back with force as soon as I began taking care of them with half of my heart. If you read the entire post then you might have observed that my reason of losing hair was Seborrheic Dermatitis attacks and I made the hair loss reversible after I got control over the Seborrhoea and gave my scalp a chance to hit back with the nutrients it required that were in this hair growth serum that worked. So you need to identify why you are losing hairs after you know the cause then try to control the situation and try the hair loss serum like the Bioxsine. I can not say a word about other serums because I did not use them and cannot recommend or review them. But maybe you can try those like this and this and share your story here in the comments? Consult with your dermatologist, if you are keen I might ask my doctor to hold skype consultancy session. I think she does them and I can ask the procedure if you guys want to get yourself checked. If you want to try this hair loss serum then you are totally on your own. I am here to just explain my success story so people can feel encouraged and believe that if this worked for me it will work for them as well. It is not too expensive and buying a stock for 3 months won’t hurt and is definitely worth a try. We waste money on stuff we don’t even count and not invest in ourselves even though we richly deserve it. So what now? I know this thing works for me. I am planning to order new boxes continuously now and apply it on my head for a whole year now. I think it will help me to reduce all the hair loss I had because of my stupid habits to allow Seborrheic Dermatitis to come back and forth on my head. By no means, I am claiming that I have the same amount of hairs that I had before the attack of seborrheic dermatitis but what I am claiming is that although I ruined my hair volume in 7 years, this thing is actually reversing the loss and it is certainly putting me on way to attain hairs close to what they were before. So after reading the above post, you will now have seen sound proof that the seborrheic dermatitis hair loss is reversible and you can get the recovery if you do the proper treatment. But what treatment I am doing? A) I am using two shampoos on alternate days. Yes, I wake up every day and wash my head with one of these and wash my hair twice in the morning. I make sure that I apply the shampoo also on the hairs just above my neck as well. In addition, I apply a small amount of shampoo foam inside my ear curves. This is where seborrhoea attacks back after it has lost battle from the head and may spread to your face. 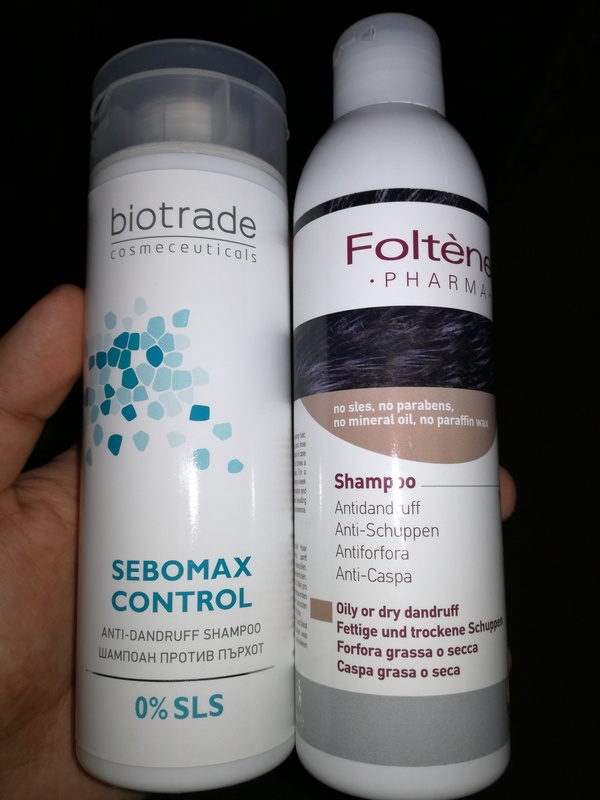 If I stop using these shampoos Biotrade Sebomax Control or Foltene Pharma then Seborrhoea will come back within a week or two weeks time and I will again begin to lose hairs galore and all the recovery I have made will be Zero in no time. Secondly, I am not using Selsun now because it is a low-end shampoo and these ones that I just named are much better and they smell good. After using Selsun people with strong noses might Eww! When sitting next to you. B) The second thing that is part of treatment which is essential to make the hair loss caused by the Seborrheic Dermatitis is the Bioxsine hair loss serum, the Priorin multivitamin which has the biotin and third is the Berocca vitamin supplement I am taking. All these combined together to give the results I have shared above. Currently, I am using the Bioxsine hair growth serum only because my dermatologist directed me so. 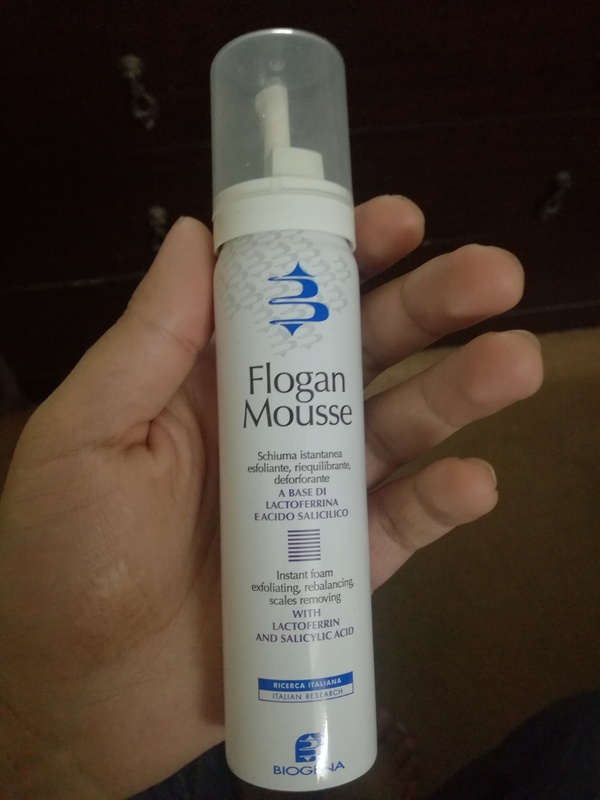 C) Another thing that is not an integral part of the treatment but I believe this thing has given me immense confidence is the Flogan Mousse I am addicted to. I never had my hairs look this good what this mousse makes them look. No conditioner made my hairs look smooth and great as done by this Mousse. It not only makes your hair look great but also it has anti-dandruff properties that further suppresses the Seborrhoea. Conditioner makes the hairs look smooth but they make them look dead while Mousse makes them looks smooth and it also gives the Alive look to the hairs. You may not understand what I mean until you try it by yourself. These are all the secrets of my hair growth campaign. I am not finishing yet. I plan to update this post every now and then with pictures as progress happens. I hope you get pumped up with positivity and give your scalp a chance with right ingredients to grow new hairs. How Old Are You Now And When Were You Affected? Currently, 26 and I was affected by the Seborrheic Dermatitis in 2010 or when I was 18-19 years old. The hair loss began since then and gradually afflicted the center part of my head the most, where I apply the hair growth serum now and that area has recovered quite much now. When Do You Apply The Hair Loss Serum? I apply it at night just before going to bed. 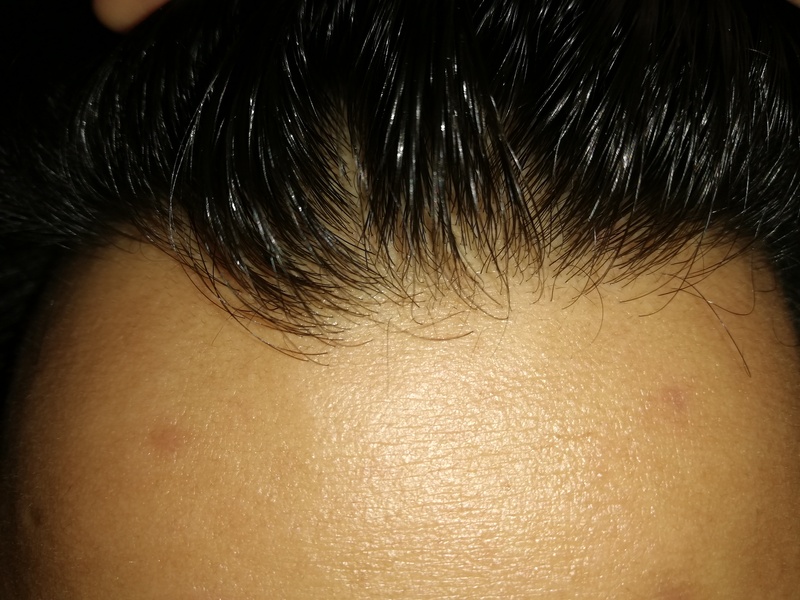 I apply half of the ampule on my head in the area which has the most hair loss. If you have hair loss throughout the head then you should apply full ampule and gently press the scalp where the dropper drips the serum. How Often Do You Apply Ampules? The doctor advised me to apply the ampule every night. But I have been careless. The box I buy only has 12 ampules in it. So in total by using half ampule a day the box lasts for 24 days. But I have not followed the routine religiously and the box usually lasts over a month. How Many Boxes Have You Used? I used the first box in mid-December 2017 that lasted until late January 2018. 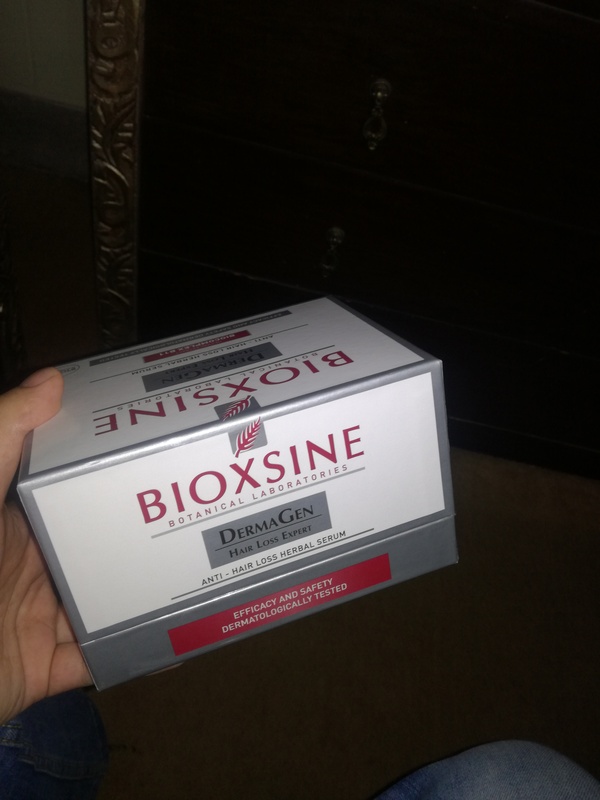 I bought another box of Bioxsine serum in Late January 2018 that lasted until February 2018. March 2018 went empty and I did not buy any ampule till the first week of April 2018. I am still using this box and I have few ampules remaining now. So in total, there are 3 boxes but I am planning to apply another 9 boxes. Do You Take Any Other Hair Gain Shampoo As Well? Because I have Seborrhoea, I use shampoos that are meant to control this skin condition on my head. So No, I am not using any other shampoo apart from those I have mentioned above in detail i.e Biotrade Sebomax Control or Foltene Pharma. 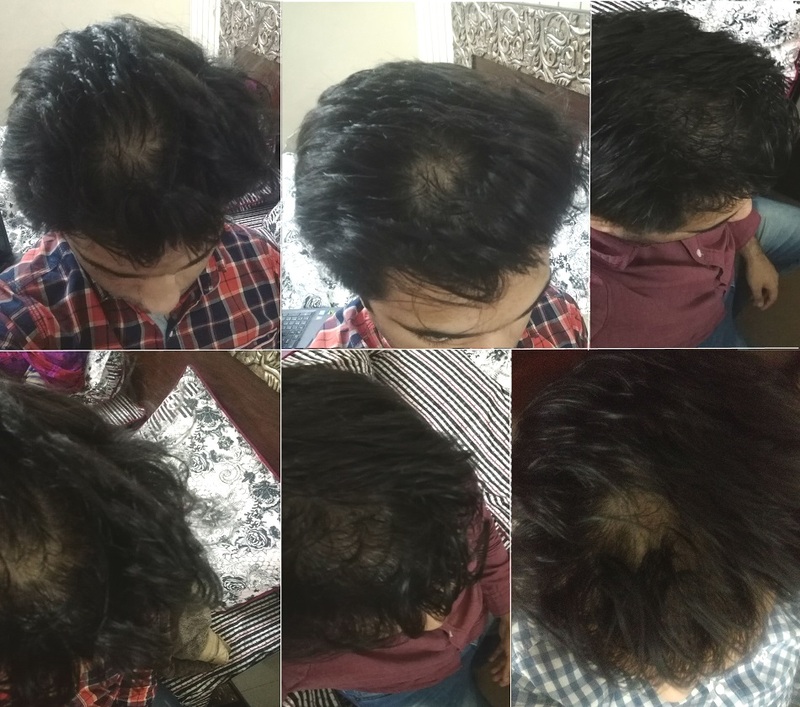 You Mentioned that You Controlled Hair loss from Jan 2017 to Dec 2017, Did you gain any hair in this phase? No, I did not gain any hair in this phase. I only controlled my hair loss problem during this tenure. 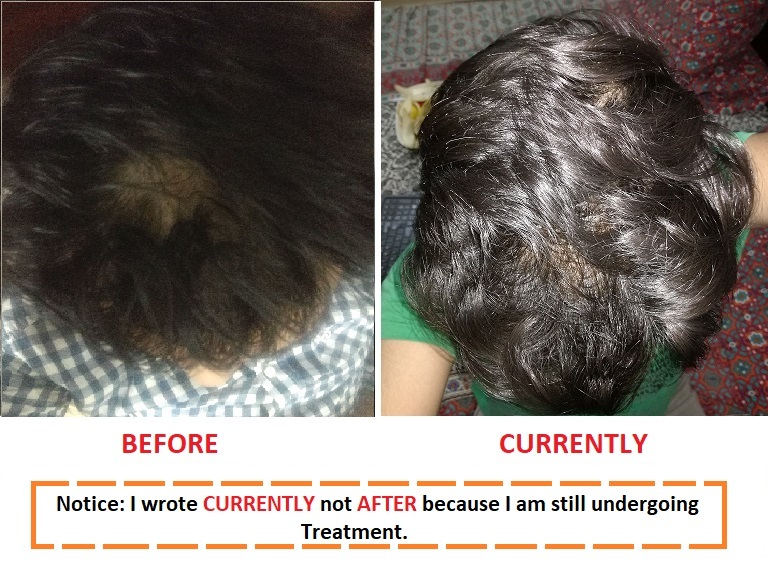 I thought that by controlling hair loss I can give full chance for my scalp to grow new hairs. But that did not happen in fact, Selsun made my hairs too dry and they became too thin and things looked worse. Is seborrhea hair loss temporary or permanent? It is temporary if you apply the regrowth serum and permanent if you don’t do anything to revert back the hair loss. I controlled seborrhoea for one year consistently and during that phase, I did not gain hair. I only gained new hairs after I applied the hair loss treatment. Is Seborrheic Dermatitis Hair loss Reversible? Yes, I have certainly recovered but not 100% yet. I think I need to continue to recover the damages I have caused because of my own carelessness in last 8 years. Seborrhoea is one nasty condition. How long Seborrheic Dermatitis Hair loss recovery take? It depends. My journey is not over yet but that big patch on my head is gone but not 100% yet. But it is not noticeable anymore. It took me 3 months it may differ from your case. In these 3 months, I used 2 boxes of Bioxsine hair loss serum. My third box is in progress. As it finishes I will 3 months supply. What exactly was your Seborrheic Dermatitis Hair Treatment? I mentioned above, I apply the serum, wash my head only with recommended shampoos, took supplements and apply the mousse. Treatment means to control the hair fall and to promote the hair growth. First, you need to find your hair loss cause, control it and second, you need to do the hair growth treatment like this best hair growth serum Bioxsine that worked for me. By controlling the condition your hair fall will be very less so your new hairs can grow in an environment which is not affected by the detrimental effects of the sebum produced by your sebaceous glands. In parallel, you can apply the Bioxsine ampules and wait patiently for it to work over the course of some months. I do not have Seborrhoea but rather DHT Hormonal Hair loss Will this serum work for me? This serum is for everybody. It is not made specially for Seborrhoea patients. The Bioxsine box clearly says that it is an “Anti Hair Loss Herbal Serum” from that it means that it will stop hair fall problem first. If you open up its Manual which comes with the box it mentions that it also promotes hair growth. I have found it to be true. I think I am affected by DHT as well but to little extent because male pattern baldness i.e. my hairline has receded over the year, that does not happen due to Seborrhoea. I guess you can try it maybe your hair fall rate will be lower than the new hair growth rate. You will see results slowly but surely if the growth rate is greater than falling rate then eventually you will have new hairs soaring. Of course, that is going to take longer time probably 6-12 months. So you have to be more patient. What do you suggest to DHT Hair loss guys? I think you guys should definitely give this thing a try before opting for more expensive solutions like PRP (Platelet-rich Plasma) or Hair Transplant or an inexpensive method of fixing a Wig. But I think that you will have to apply the full ampule instead of half because you will be applying it all over your head. I Wear A Permanent Wig What Should I do? I think you need to take it off. Sorry but that is what I think. You must give your head proper exposure to air so it can have normal conditions. The wig can cover and let sebum damage your hairs. Also, another important thing is that when you apply this hair growth serum on your head then it is supposed to be applied on the scalp, any drop that touches the hair strands evaporates and is not useful. Therefore, I recommend to give natural conditions to your head and make maximum contact of hair growth serum with the scalp. 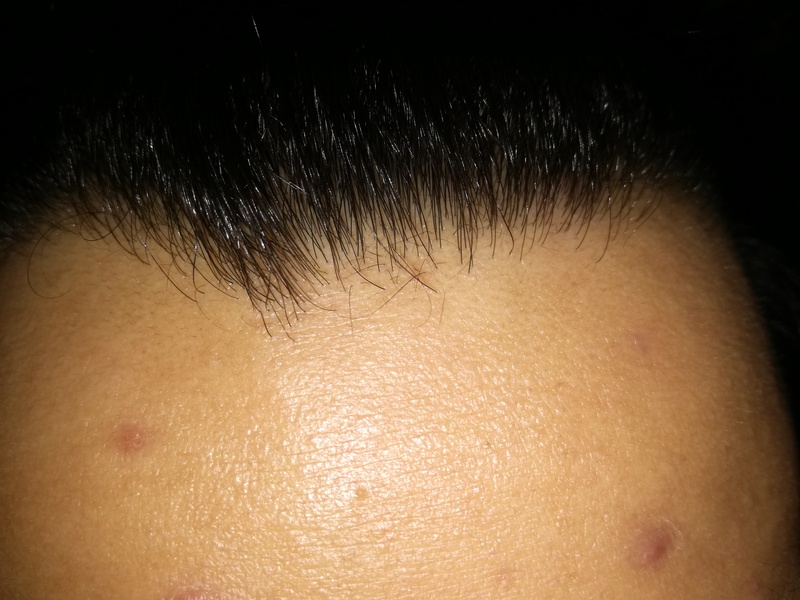 I Have DHT or Seborrhea, Can I Get Transplant And Use Hair loss Serum Together? If you have this question then that means that you have severe hair loss by any condition which forced you to think about the Transplant. The good thing about the hair transplant is that they take the hair strands from the back of your head and implant on top of the head. These hair strands are not affected by DHT that means they will not fall off. So you have few thousand permanent hairs scattered on head strategically and then you begin to apply this hair loss serum. I think it can bring wonderful results in long-term, not only you will have permanent hairs but also gaps filled by new natural hairs that come via this hair growth serum that works. Is this the best serum for Hair Growth and Thickness? Well, it is the first hair growth serum that I tried and it worked for me so it is best for me. Regarding thickness, its written on the box that it increases the thickness of the hair, my hairs are now thicker too. You can see in the pictures the fully grown hair are quite thick. I have applied Bioxsine But I cannot see noticeable results? Look you need to be patient. Nowhere the serum box says that it is a fast hair growth serum. Every person is different, it took me 3 months to see noticeable results. You need to give your body a fair chance. Give it what it requires and then think about long-term treatment. Don’t just think that you will apply serum and next day you will have so many new hairs that you can do business by selling them. Lolz! Just be patient with these things, they take time. Just be persistent keep applying it every night and forget about the results. Notice your head after few months, only then you can see observable results. Just make sure that you take pictures the first day you begin your treatment so you can compare it later on. Can You Recommend Any other Hair Growth Products That work? Well, I have reviewed the one which worked for me. I don’t think I need to change what I am doing so I don’t have experience with other stuff going around. You can check at Amazon they suggest a number of ampules when you search in there. Try them and maybe share your results here in the comments sections for others. I Am Using Minoxidil Spray Is that Cool? Yes, it’s a good method to get new hair. 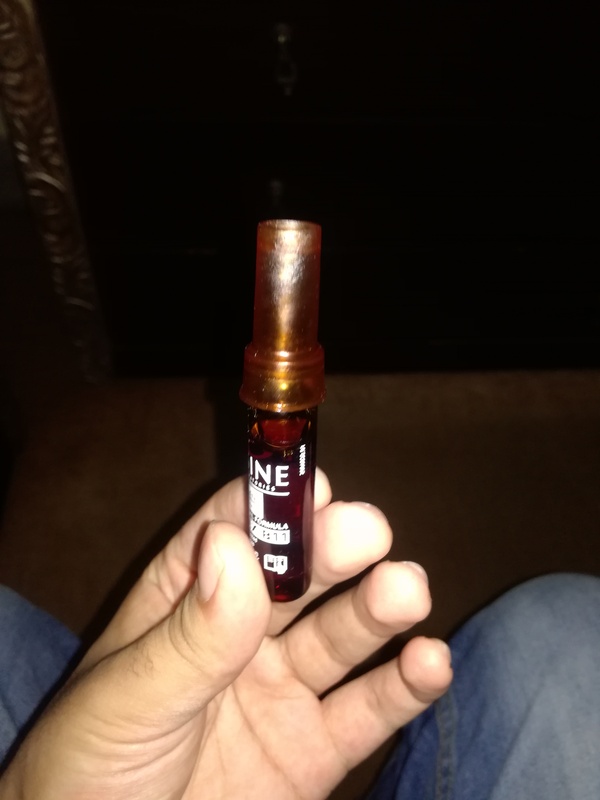 My friend used it and said that he gained hairs from it but the problem is they fall off the moment you stop using the spray. That is because the DHT kills them as soon as those new hairs stop getting resistive treatment to fight DHT. So you might need to check with your doctor what is the best way to fight DHT. I have heard many good things about Saw Palmetto may be you can check that out and share your results with the visitors here? Is This The Best Hair Growth Serum For Men Only? I have not seen anywhere on the box that says it is for men only but I do have seen Bioxsine shampoo that is made specifically for women which claims to promote hair growth for women. I believe both men and women can use the ampoules. Can I Take Appointment with Your Dermatologist? I can try it out and get details on your behalf. I know she looks patients on skype but I don’t know how much she charges for the internet appointments. Please only if you are serious then send me an email with your details like Name, Age, Country, Problem to my email address asad@tellmebest.com I will see what I can do at my end on your behalf. What Diet Did You Have During The Treatment? I am still undergoing the treatment which started since December 2017 and my diet has not changed much since 2010 when I first got this problem. I have same diet routine since then except for the fact that I don’t eat fried stuff anymore from January 2018. I cook them all in my Air Fryer. Air fryers basically cooks the food without oil. You can make fries in an air fryer without a drop of oil. It is a wonderful product and indeed makes very healthy food. So yes the oil content has reduced a lot in my diet, apart from that my habits have not changed. Do you Smoke, Drink or Take Drugs? I have never done any of these things in my life. So if you are addicted to any of these then I guess you may not get results like how fast I got them. The first thing my dermatologist asked me on my first visit was if I smoke. So its really an important question and then they prescribe you medicines based on that. So you need to check that with your doctor and get rid of these unhealthy habits. Do you Massage your Head? Massaging head can increase circulation in your head and promote hair growth. I am just too lazy to do that. I only press my head little bit while applying the hair growth serum. Do You Do Any Exercise To Promote Circulation In Your Head? Well, I have put on some weight in last two years. I am planning to hit the gym soon. Apart from that, I jog but that also is not regular. So No I don’t think I did any exercise that helped me in my hair loss recovery success story. My Head Is Bald From Middle Do I Have A Chance? An interesting solution I have mentioned above is to get the transplant and then apply the serum later when you have recovered from hair transplant sores. So permanent hairs and new hairs from this serum might do wonders for you. But I think you have to follow the routine for a good long time. Don’t lose hope give yourself a chance. You deserve it. Bioxsine Hair Loss Serum Can not Be Shipped In My Country, What should I do? Its unfortunate if it is like so. I recommend that you ask your local dermatologist if they can offer you any alternative hair growth serum and then maybe you can share your experience with that product with us? Can You Ship Me The Bioxsine Hair loss Serum? I am sorry but it is not possible to ship medicine from here. The courier companies don’t ship medicine type materials from here. One needs to have a proper license, I don’t have that. The box says that it is a herbal serum that means it is made up of natural ingredients that means there should be no side effects. From what I have used so far now I have not observed any side effects apart from one which is a good one. 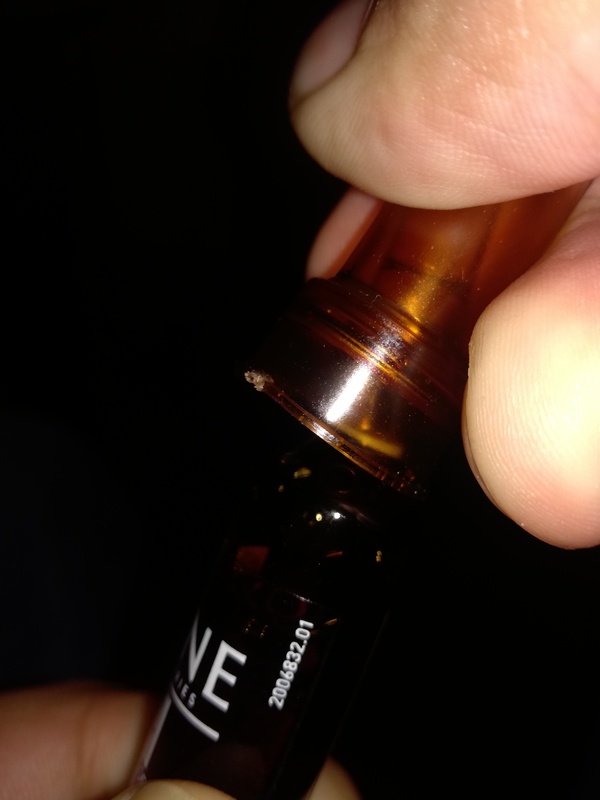 When I apply the serum with the dropper on the part of my head with hair loss, occasionally the drops trips on to my forehead. I quickly pick them up and apply back to my scalp. 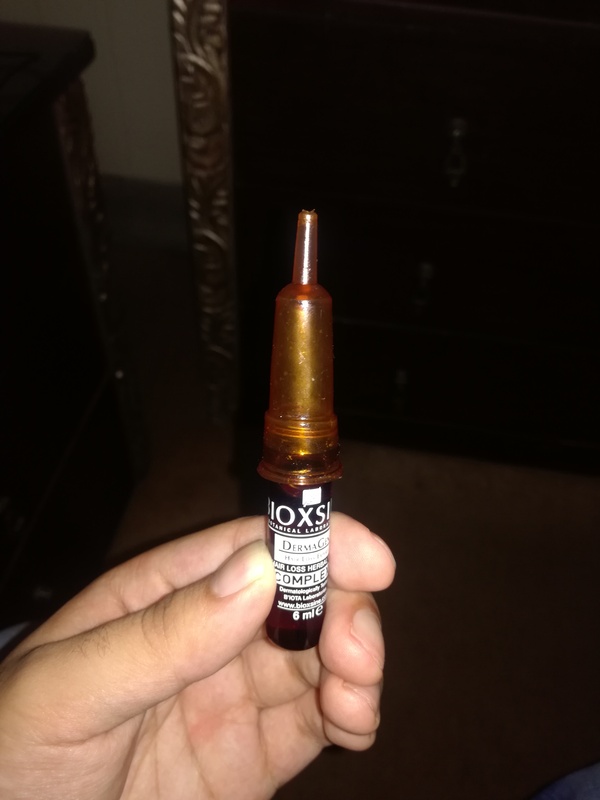 Because of this thing, the serum reached my forehead and now my receding hairline is growing new hairs that are beginning to cover my forehead. I had a very smooth and uniform hairline but now it is somewhat irregular because of new hairs coming in places not linearly. I take this as a positive side effect and I am not much worried about it. So the side effect is that the hairs might grow on part of the head where you may not want them to grow in first place. You can check the above pictures again and zoom it in and see new hairs are coming on my receded hairline but things are reversing now. Are You Taking The Supplements You Mentioned? On my last visit to the dermatologist, my doctor only prescribed me to continue with another box of Bioxsine and continue with the shampoos only. She did not tell me to buy another box of Priorin or Beroca which are basically the supplements to help hair growth. In total, I have consumed 2 boxes of Priorin and 4 of Beroca. I think you should take them especially if you are just starting out with the hair growth treatment. If you give an environment for growth but not the nutrients then you may not get the desired results. How To Break The Bioxsine Ampule? It will break very easily. When you open the box you will see two brownish looking things. One is breaker and other is dropper with a cap on it. Take the breaker out from the box and put it over the head of the ampule. Hold the ampule firmly in your left hand vertically. The narrow part of the ampoule should be on top. With the right hand now try to turn the head of the ampule towards the right side. In other words, hold ampule base tight and apply torque in the clockwise direction on the ampule head. It will break with very little force. Its natural to feel confused to break your first ampule but you will master it after breaking the first one. Did Your Scalp Itch After Applying the Serum? Yes, it did for the first few days but after that nothing happened. It’s all normal now. It’s not itchy at all. I believe my scalp is used to it now. For the first few days because it was a new thing the scalp reacts by promoting itching as an irritation signal. But it will go away after applying consistently for few nights. If you feel intense itching and that persists even after a week maybe you are allergic to some ingredient in the serum and should consult your dermatologist. Can I Get Rid of Seborrhoea Permanently? Unfortunately, you can not, It is a permanent problem that will disappear and reappear as soon as you stop the treatment. Don’t make the mistake which I did for almost 8 years. You have to use the shampoos permanently for your whole life. Am sorry but this is the bitter truth. Have You Recovered Completely From Seborrheic Dermatitis Hair loss? No, but I have made great progress. The patch on my head with great hair loss is very less visible now. I can say that it is 75-80% gone now. I will continue the hair growth serum till it is 99% gone. Apart from that, I have also lost hairs on my mustache and beard part of my chin. I have not applied serum there because that part is not part of my priority yet. Do You Have Seborrhoea On Your Face? Yes, I do have under my eyes, moustache and chin. I have lost hairs in this region as well. But I am not applying the serum here because its not that severe and not on my priority list at the momeent. I have DHT or Seborrhoea But I don’t have hair loss that Much Yet Should I Buy The Serum? If you think that hair loss is not that much and you recently got Seborrhoea then yes you may not require any hair growth serum. Just make sure that you stick with the shampoos permanently for your whole life. But if you are already into 2nd or 3rd year of Seborrhoea or DHT hair loss then you are underestimating the situation. You definitely have hair loss and you should consider hair growth serum. Can I Take Medicine That Suppresses Sebaceous Glands That Can Stop Seborrhoea? I did ask this question to my Doctor and she laughed. I believe for men you can not take in medicine that suppresses the sebaceous glands, the side effects are not worth it. Very inspired by your story, I am planning to order 6 months supply and give this serum a try too. Best of luck Marcus. Just be consistent and follow things religiously. Dont be too curious to scan your head every night. Things will happen but give this serum at least 2 months. You just gave me hopes and rays of brightness. I have struggled with hair loss for so long but its shorter than the span you mentioned. I believe I can recover as well. Certainly, if I can recover then you can also too. Just be positive. Often we dont try because of the wrongly established perceptions that there is no solution for hair loss except transplant and PRP. I gave a try and it worked for me. But important thing is, I just didn’t give too much attention to my scalp but kept on applying the serum. So by not thinking much I stayed positive! Asad I must thank you and appreciate your efforts to guide us all. 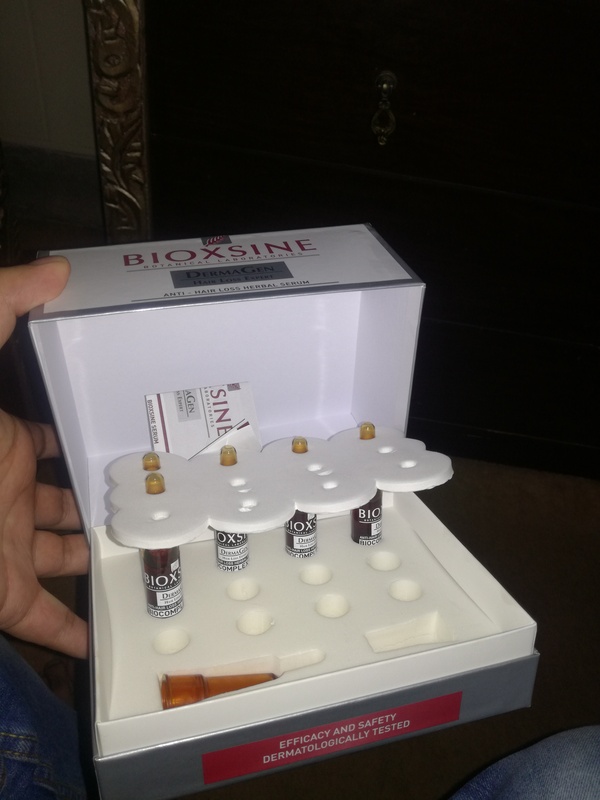 I just received 6 Bioxsine hair loss boxes along with Priorin and Beroca supplement as you mentioned. I know you said to apply the serum at night but what about the medicines? You are right I actually missed to tell about the dosage. I just took one dose of both Priorin and Beroca with water just after getting up from the bed. It’s great that you ordered 6 months supply it will help you keep motivated and keep on track to follow. Just keep applying the serum and be positive and not too pushy to see results within a week. Asad, I cant find the shampoos you recommend, however, Selsun blue is available. I am worried about its smell. Can I use normal shampoo after using selsun to fight the smell? If you have seborrhoea or psoriasis, I would not recommend other shampoos. I think you need to check a bit more these shampoos are available. So so thank you for sharing your story. I have been using the same bioxsine serum along with their shampoo. I am into the first month and I am already observing that my hairs have become stronger. When do you think I can see new hairs? Wow Aimee, Your half work is done then. Yes, bioxsine makes the hair length thicker I observed the same thing as well. Regarding new hairs, please wait or in the darkness take a strong flashlight and scan the area where you are applying the serum you will see small hairs. I think it is much easier for women to recover hairs then men. Just be positive and wait, things will happen. how did you get Seborrhoea on your face? and what you do to fight it? 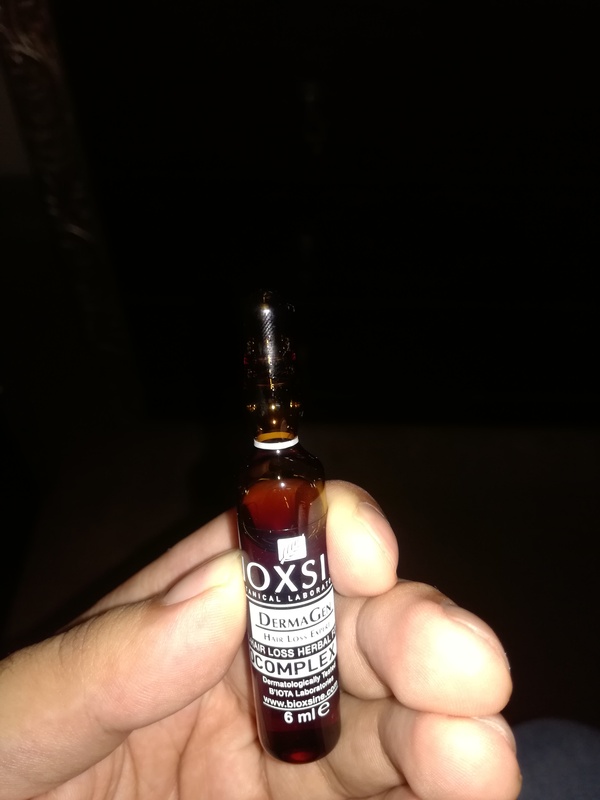 I am in Philipines, how do I buy the serum from here? Hey Azbit, can you check your local dermatologist or connect with mine maybe they can give you something alternate. your efforts are condemnable in documenting your successful journey, so others may benefit. I just have this very simple question. Sometimes while applying the serum it trickles onto my face. Is this going to promote hair growth on my face? I dont want hairs on my face seriously! Did you experience that? That is what exactly happens with me every day, So far nothing on my face, but as I mentioned that my receding hairline is recovering because of this trickling effect I take trickling as a blessing. I have ordered everything you mentioned. I feel super motivated especially when I see those small pictures that enlarge into huge one that have those beautiful little hairs growing. My only concern is that I Drink a lot. Is that going to hurt my chances? Hey Rodney, Best of luck, hope you get same results as me. Regarding drinking, I think alcohol is just bad for the whole body in all aspects. So hairs must be getting hurt by it too. Try to reduce the habit I hope it works for you too. Interestingly, the Bioxsine manual does not mention drugs or alcohol as an inhibitor to give the result from the serum. So just feel positive and apply the serum and wait for the results patiently. I will try to see what can I get on your behalf. Send me your Name, Age, Problem and Country. I am in mid-60s, I am a victim of years of domestic abuse. I have gone through depression and anxiety. Hair loss is just one of the side effects I am going through. Thank you for motivating me! I have ordered the serum as well. 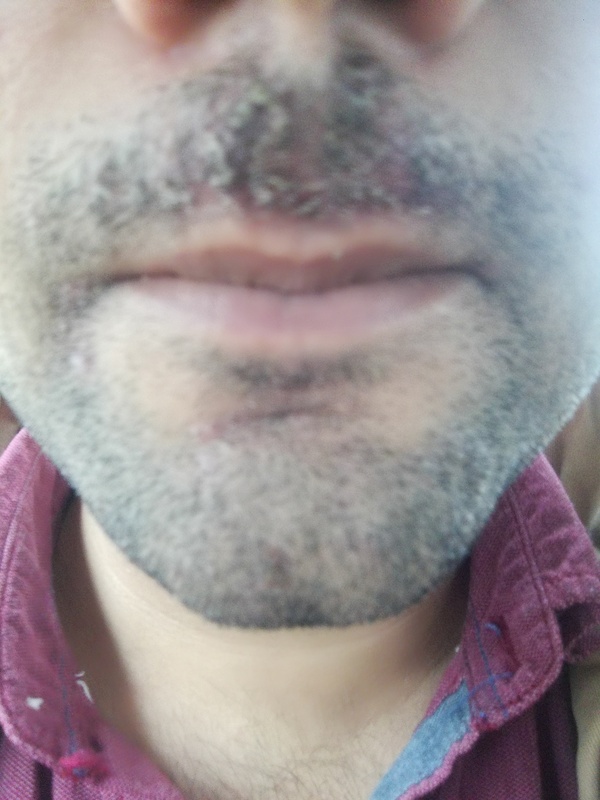 I have skin pigmentation that has grown on my neck, can you please recommend me some supplement to get rid of that. I want to bring my life together, I raised my children more time as a single mother. Your story is very motivating. You are a fighter and inspiration to all of us. Just keep fighting and you will recover. It’s great that you ordered the serum it is certainly going to work for you. I can sense the positivity in you. Regarding pigmentation, I cannot comment. I recommend that you connect with some dermatologist. Asad do you massage your head after applying the serum? If yes do you do circular motions? I have a localised area that has gone bald because of wen hair color I used. Hey Susan, I am just too lazy to do the massage, It takes me less than 5 minutes to apply the serum that includes breaking the ampule. I just press where the drop of serum where it gets in touch with the scalp that’s it. My boxes just arrived, I received them in today in the morning. They are much lighter than I thought they would be. The box says that in 6 months you will have 93% recovery, Is that practical? Asad, how much Priorin should I take in each day? I am not using the Priorin at the moment. I took 2 boxes of it. Just took one pill after getting up in the morning. I just had my appointment with your dermatologist yesterday. She was very friendly. More or less my prescription is same as yours. I have ordered the 3 months supply hoping to receive everything soon! Yes, she is indeed very friendly. Well, that’s how a doc should be too. Just be consistent with the serum and other supplements. I am sure you will have the same results as me. Best!